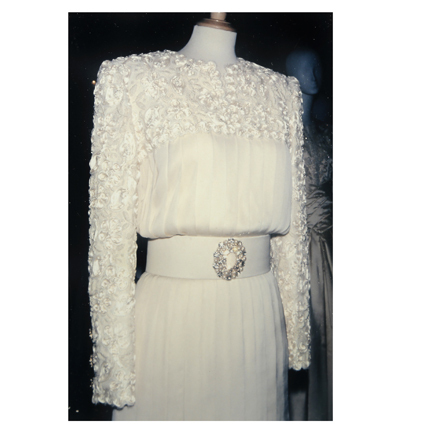 The simulated pearl is from the famous "Pearl Gown, designed by Catherin Walker, and worn by Diana, Princess Of Wales. 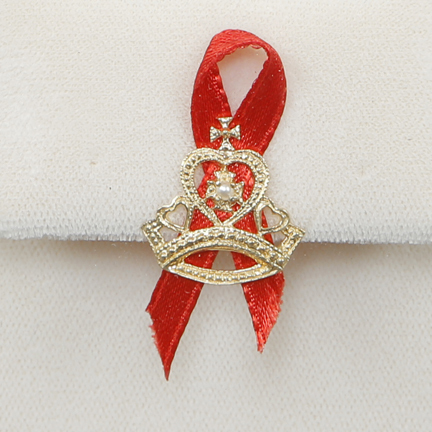 The dress was auctioned off to benefit Elton John's AIDs Foundation. 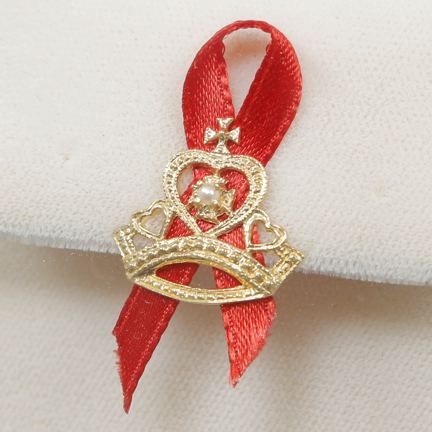 The buyer removed 500 of the simulated pearls from the garment and created 500 limited edition "crowned jewel" lapel pins. 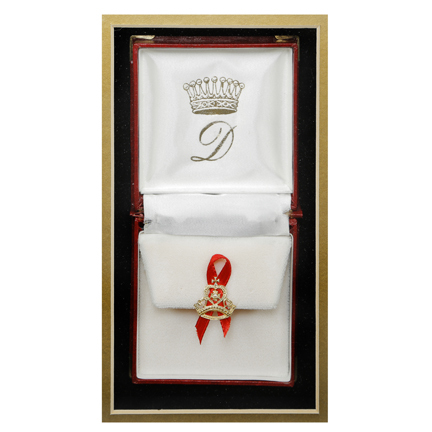 Each crown included a red ribbon enclosed in custom red boxes with velvet and satin lining. 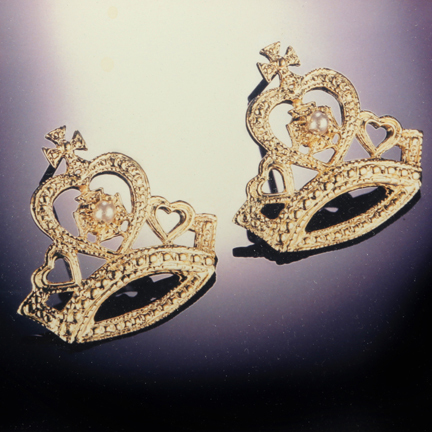 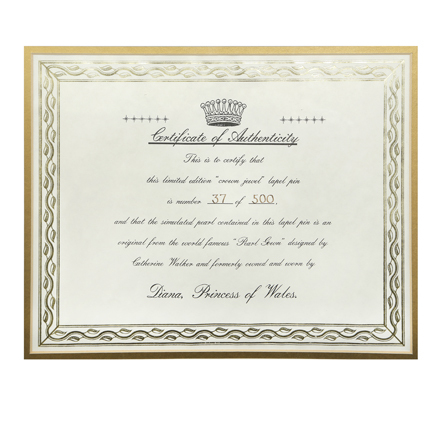 "Diana" and crown embossed in gold. 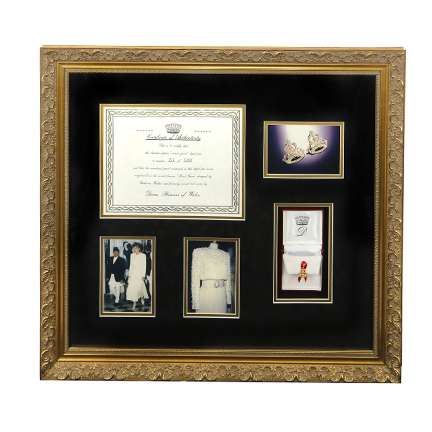 The lapel pin and box are enclosed in a custom framed display (25 x 27 x 2) and is number 37 out of 500. 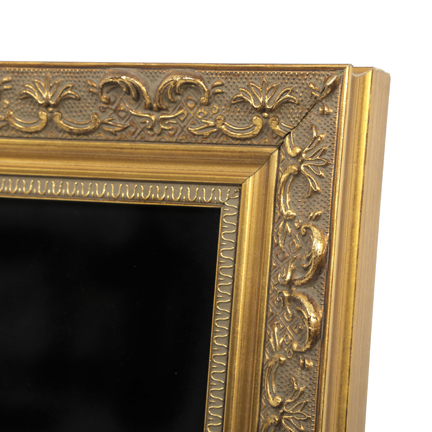 The display is in excellent condition and is the letter of authenticity is included in the frame.